Have you ever been tempted to purchase a home using the listing agent as your agent also ? So what motivates Buyers to not use their own agent ? The buyer believes they will save money and get a better deal if they do the deal directly with the listing agent. The problem is that the listing agent can’t tell you what the property is really worth, they can only tell you that it’s worth the listing price. Remember the listing agent works for the Seller. The listing agent tells you they will apply 1% of their commission towards your closing costs. Sounds great, but there are a lot of Buyer agents that offer similar incentives like : covering the home inspection fee, appraisal fee, home warranty, etc. Plus you Agent will negotiate a lower price and be their to protect your legal rights. 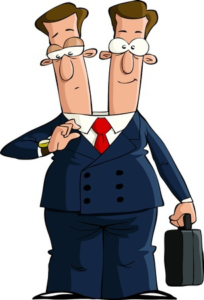 Would you represent yourself in a legal action or hire a professional?